The American Society for Clinical Oncology (ASCO) annual meeting doesn’t start for a few weeks, but a few companies made big moves on Thursday based on data in their abstracts that were released Wednesday evening. Here’s a breakdown of the pops and drops and a look at what to expect when ASCO kicks off on June 1. 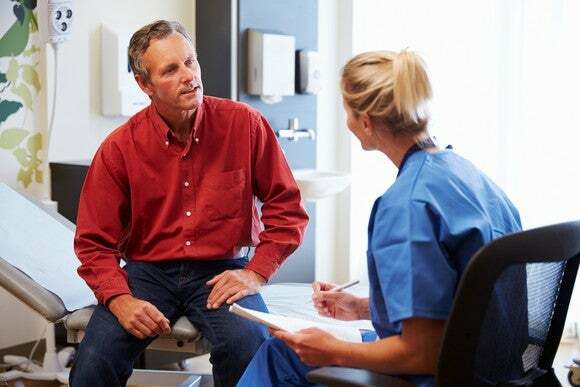 Endocyte’s(NASDAQ:ECYT)data from a phase 2 trial testing its prostate cancer drug 177Lu-PSMA-617 showed the drug could lower prostate-specific antigen (PSA), a marker for prostate cancer. Specifically, the drug reduced PSA by at least 50% in 62% of patients and by at least 80% in 44% of patients. Investors will have to wait for the meeting to get overall survival data, but presumably, it’ll be solid enough because Endocyte has already committed to running a phase 3 trial for 177Lu-PSMA-617, which is scheduled to begin this quarter. Loxo Oncology(NASDAQ:LOXO) released data from its phase 1 trial testing LOXO-292 in patients with tumors containing RET mutations. The drug producedan overall response rate (ORR) of 65% for patients with non-small cell lung cancer (NSCLC) and 83% for papillary thyroid cancer for patients with RET fusion mutations. There wasn’t a control group — as is typical for a phase 1 trial — but considering these are late-stage patients who have failed with other drugs, more than half responding is a pretty solid result. On the downside, Blueprint Medicines (NASDAQ:BPMC)also is developing a RET targeting drug called BLU-667. The company doesn’t seem to be presenting additional data at ASCO, likely because it just released data last month at the American Association for Cancer Research meeting. While it’s very hard to make apples-to-apples comparisons across phase 1 trials, BLU-667 doesn’t look quite as active, with ORR of 50% percent in patients with NSCLC and 40% in patients with medullary thyroid cancer. Nektar Therapeutics(NASDAQ:NKTR) released updated data from a phase 1/2 trial testing its cancer drug NKTR-214 in combination with Bristol-Myers Squibb’sOpdivo. Investors were disappointed that the ORRs for patients with melanoma, kidney cancer, and NSCLC were headed in the wrong direction. Investors should keep in mind that when working with small numbers, later updates are likely to produce different results. Take the NSCL data, which showed 75% — 3 out of 4 — patients responding in the earlier update, which now stands at 50% with six patients treated. It could just as easily have gone from a 25% response rate, with 1 out of 4 responding, to a 50% response rate after six patients if the patients had been enrolled in a different order. All of the ORRs still are above 50%, so it’s not like NKTR-214 is in jeopardy of not advancing into later-stage clinical trials. At this point, it still looks like it has a good shot at getting approved, even with the reduced numbers. Some of yesterday’s decline likely has to do with how much Nektar has run up over the last year. Jounce Therapeutics (NASDAQ:JNCE) was the biggest loser of the bunch, likely because of the high hopes for JTX-2011, given the endorsement by Celgenethrough their research collaboration. The drug didn’t have very robust results either as a monotherapy or when used in combination with Opdivo. Most of the response rates were around or below 10%. In the combination cohort of 19 patients, there were two partial responses and two patients with stable disease, but it’s not clear how much of that was due to Opdivo versus JTX-2011. As noted above with Nektar, small numbers can skew the numbers in either direction. These are late-stage patients, so some response is better than none, and the drug still could get approved. Unfortunately, a lack of a robust response may make it difficult for Jounce and Celgene to get JTX-2011 approved for earlier-stage treatment where the potential population of patients is larger. If you’re going to invest after a binary event, you need to look for either positive data that investors didn’t factor in completely or overreactions on the downside. Of the five companies highlighted, Nektar fits the bill the best, although it was a rather expensive stock to begin with, with no approved drugs and a $14 billion market cap. The successes and failures of its late-stage drugswill likely have a larger effect on its share price than NKTR-214. Investors also should keep in mind that abstracts had to be submittedby Feb. 13, so the data released this week already is quite out of date for ongoing trials. Nearly all companies will present the most recent look at the data at the meeting itself, so we could see further pops and drops in a few weeks. This entry was posted in Stocks on May 21, 2018 by admin.